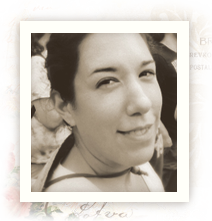 Today we are glad to present another of our new Design Team members, Dana Tatar. We are thrilled to have her on our team this year. We are looking forward to sharing Dana’s inspirational designs using our papers! Let’s give a warm welcome to Dana, take a look at her first Pion Design project and get to know a little more about her! My name is Dana Tatar and I am a stay-at-home mom from the United States who likes to play with paper and scissors. I was a biochemist before I decided to stay home full-time with my daughters and my analytical mind is always present when I’m crafting. I really enjoy playing with wet media; mixing things together, heating and drying things out and trying to find creative uses for products. I have had many hobbies over the years, but scrapping is the one that really gives me satisfaction. I started scrapbooking to preserve memories after the birth of my first daughter and have grown to love the creative outlet. I love to mix products from different collections on my layouts and I frequently find inspiration in music, poetry and pop culture. I am honored to be a part of this talented team of designers. I hope I am able to inspire you! The To my Valentine collection was just what I needed to document this sweet photo of a friend’s daughter. The Tags and Borders patterned papers have a wonderful selection of postcards and titles to cut out for use on a variety of projects. I used several of the designs on this layout to build up interesting layers beneath my photo and to embellish and title the layout. I used a piece of pink cardstock from the Pion Design Palette to help soften the red/black/cream color palette of the To my Valentine line. I finished this layout with pink ink and embellishments and a sprinkling of gold mica flakes. This beautiful line is fantastic for Valentine’s Day crafting, but I enjoy scrapping the girls, so I plan to use this collection all year long! Welcome to the dt team Dana.